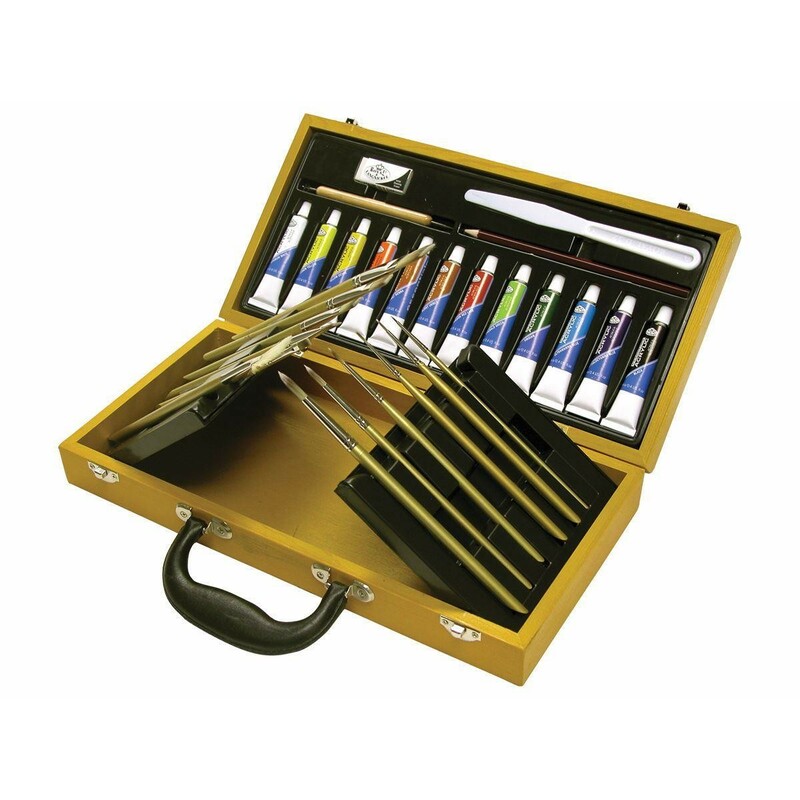 This essential acrylics paint sets contains 29 pieces, it is a great starter set that any one wanting to try their hand at painting in acrylic colour. 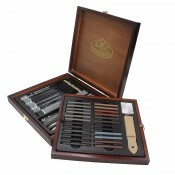 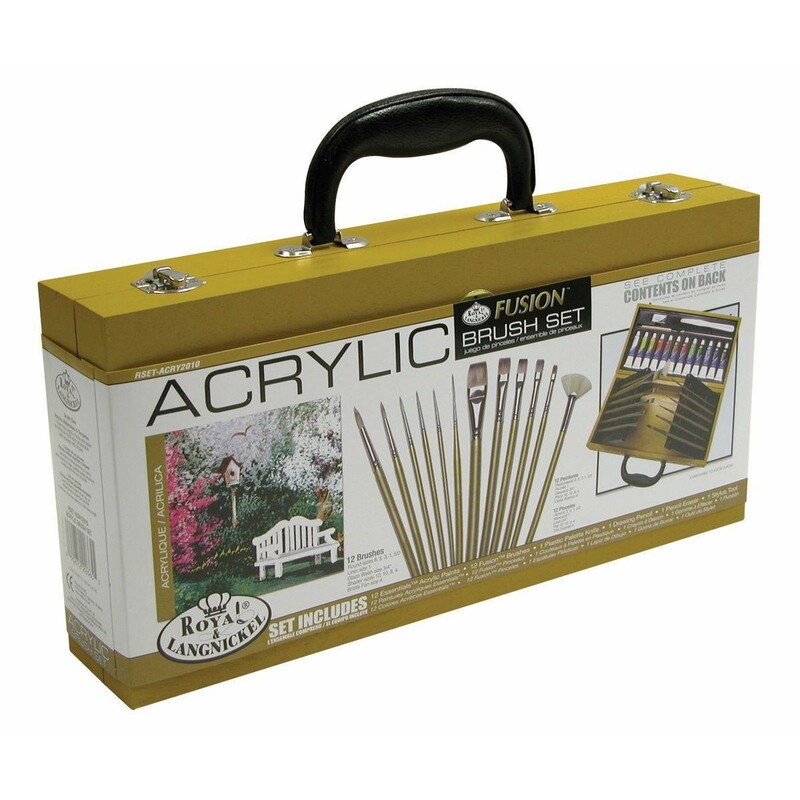 Royal and Langnickel make a number of versions of wooden box that contain acrylic and brushes, this set contains the fusion range which are higher grade paint brush then the more popular 2000 series set. 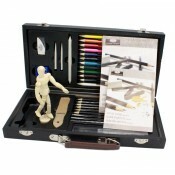 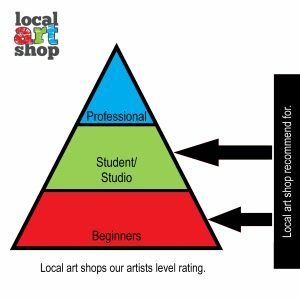 12 oil colour paints 12 mL.